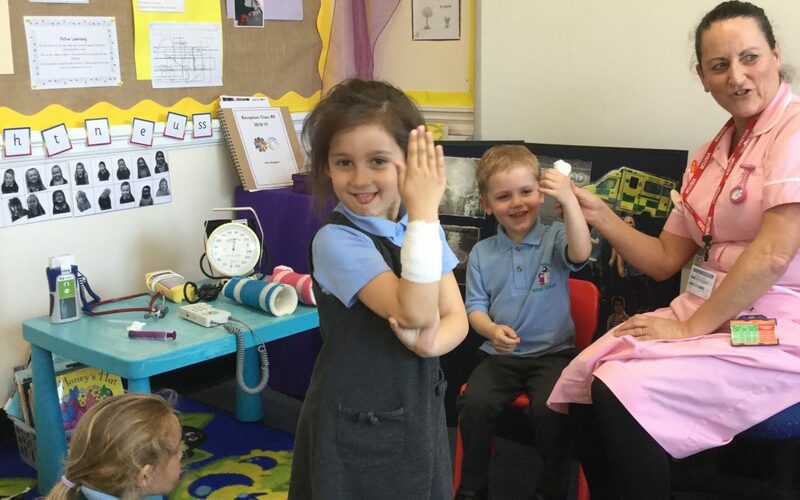 On Friday, Wendy, a Nursery Nurse from the QE hospital came along to Reception Class to talk to the children about all of the people they might see in a hospital. 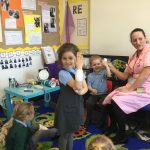 She shared some of the equipment Doctors and Nurses use to treat children and even showed the children some bandages and plaster casts. 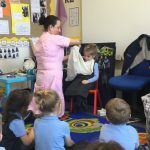 It was fascinating to hear one of the children’s heart beating through the use of the Doppler Machine. 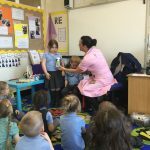 The children asked lots of questions and some related their own experiences to the talk. I think we will have lots of aspiring Doctors and Nurses this week at school!